This is miso soup made with ingredients any self-respecting foodie is likely to have on hand: toasted nori sushi wrappers, fish sauce, and white miso. Miso is not usually gluten-free, because it’s made with fermented barley and soybeans. 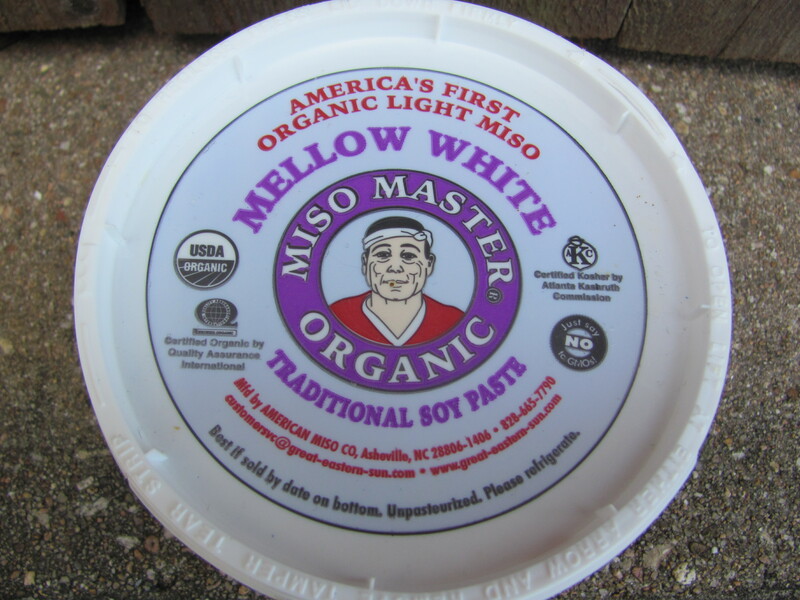 However, white miso, which is just made with soybeans, is safe. The kind of miso you’re looking for, looks like this. Put six cups of water in a two quart sauce pan. Turn the heat up to medium-high. Put two cups of water in a microwave-safe bowl. Set it to run on high for three minutes. When the water in the microwave is boiling, carefully take it out of the microwave with hot pads, and drop the mushrooms into it to soften. While the water in the pan is boiling, rinse and chop the green onions and the daikon. When the water in the pan boils, drain the mushrooms, and add the mushrooms, and the daikon. Boil for ten-fifteen minutes, until the daikon starts to become translucent.Then, turn off the heat. In a small cup, add about three tablespoons water to the miso (live miso is pretty solid), and stir until the miso is relatively dissolved. Finally, tear up three strips of nori, and add the nori, green onions, fish sauce, and miso to the broth. Makes six servings. About .90 cents per serving. 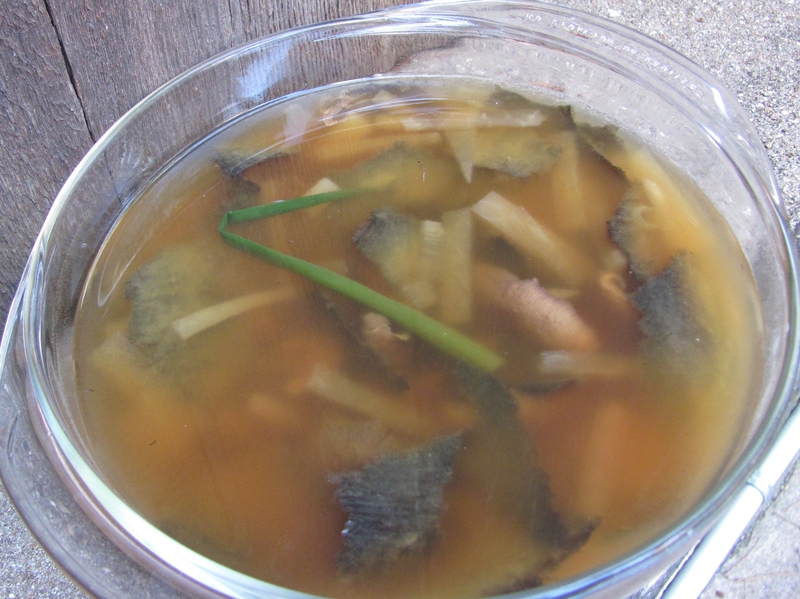 Thanks to jenmenke for the idea that you can use nori, instead of kombu in the broth.